Heeft u een vraag voor Angkor Miracle Reflection Club? 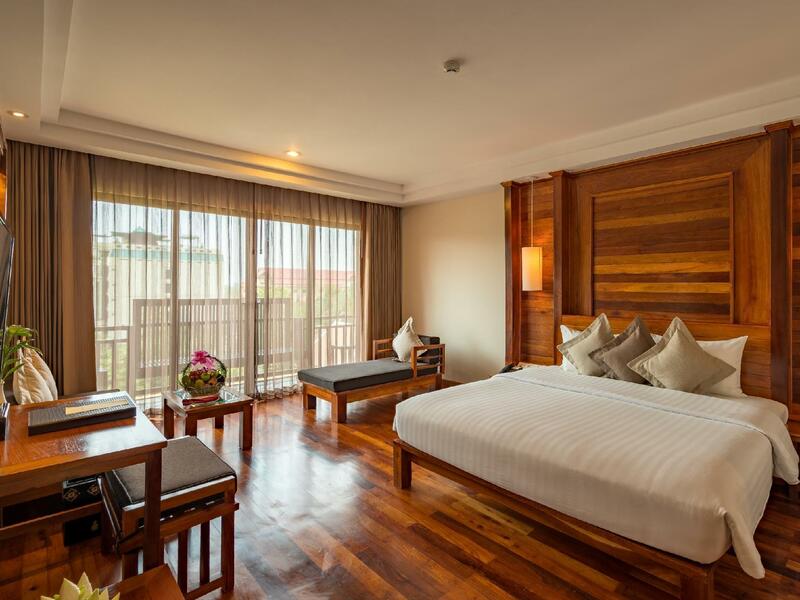 Gelegen in het hart van Kruos, is Angkor Miracle Reflection Club een ideale uitvalsbasis om Siem Reap te ontdekken. Op slechts 2 km afstand, kan deze 5-sterren accommodatie eenvoudig vanaf het vliegveld worden bereikt. Dankzij de praktische ligging, biedt de accommodatie eenvoudig toegang tot alle belangrijke trekpleisters van de stad. 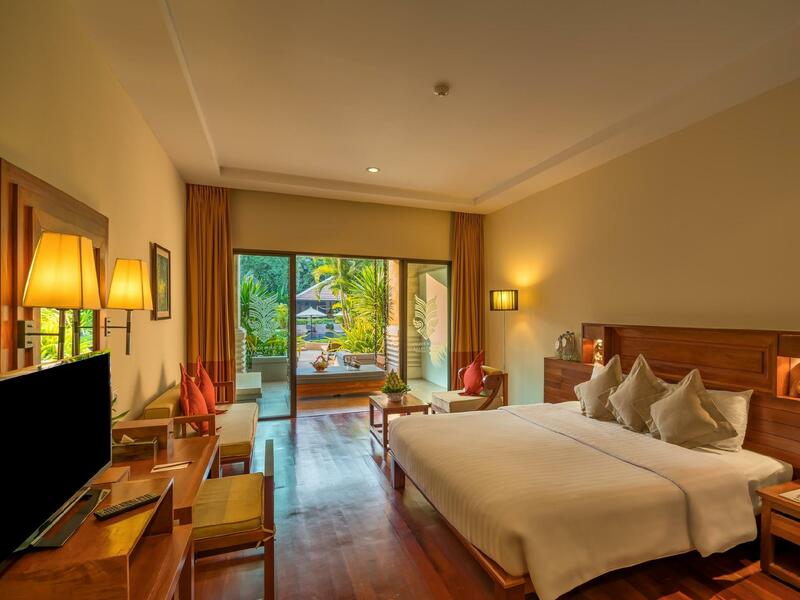 Angkor Miracle Reflection Club biedt gasten superieure services, plus een breed scala aan voorzieningen, en is toegewijd om uw verblijf zo comfortabel mogelijk te maken. Terwijl u in deze geweldige accommodatie verblijft, kunt u genieten van 24-uur roomservice, gratis wi-fi in alle kamers, 24-uur beveiliging, supermarkt, dagelijkse schoonmaak. De ambiance van Angkor Miracle Reflection Club weerspiegelt zich in de inrichting van iedere gastenkamer. plasma tv, badkamertelefoon, vloerbedekking, kledingrek, oploskoffie zijn slechts enkele van de voorzieningen die u ter beschikking staan. De accommodatie biedt een uitstekende variëteit aan recreatieve voorzieningen, inclusief hot tub, fitnesscentrum, sauna, golfbaan (binnen 3 km) , zwembad (buiten). 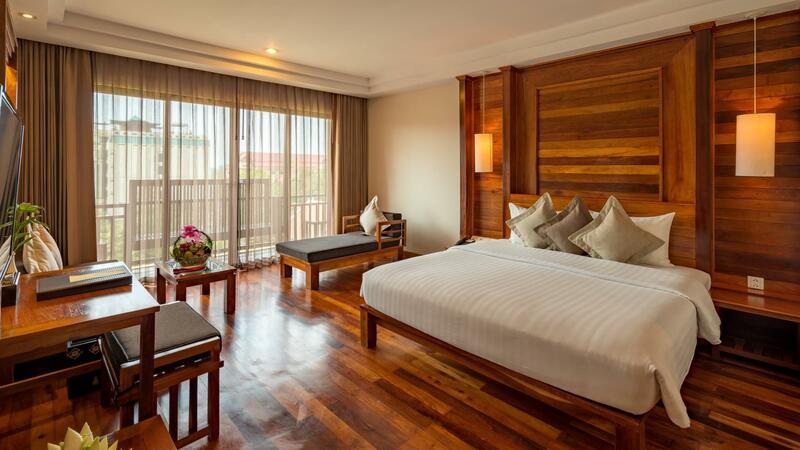 Angkor Miracle Reflection Club is een uitgelezen keuze als u een kwaliteitsaccommodatie zoekt in Siem Reap. Luchthaven transfer is beschikbaar zonder bijkomende kosten. Om de transfer te reserveren dient u de accommodatie op voorhand te informeren over uw aankomstdetails. De accommodatie biedt een korting van 25% op de spa en wasseretteservice. De accommodatie biedt een korting van 20% bij de restaurants aan. De accommodatie biedt een korting van 15% bij het Sparkle Beauty Center salon aan. 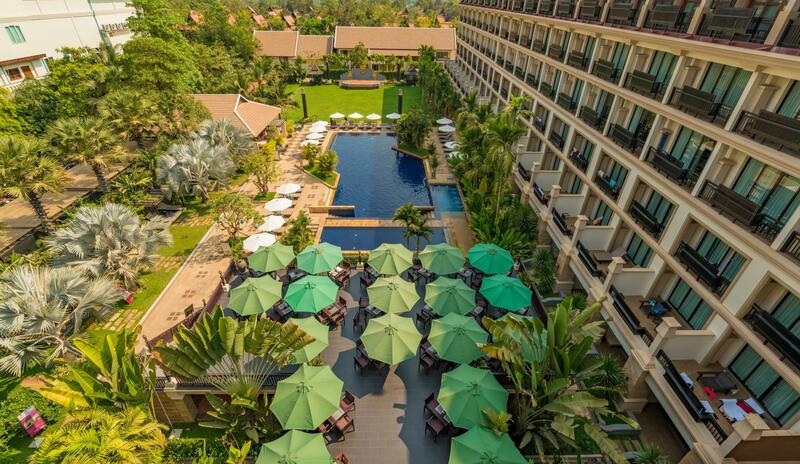 Angkor Miracle Reflection Club is apparently the new wing of Angkor Miracle Resort and Spa. We had a hard time finding the location initially as the tuk tuk driver is not aware of this hotel's name. But, we finally made it there. The warm reception by the hotel receptionist makes it all ok. We were escorted to our room and had the facilities explained to us. Room is in the new wing. Had lots of wood panelling and wood furniture but it looked new and nice. 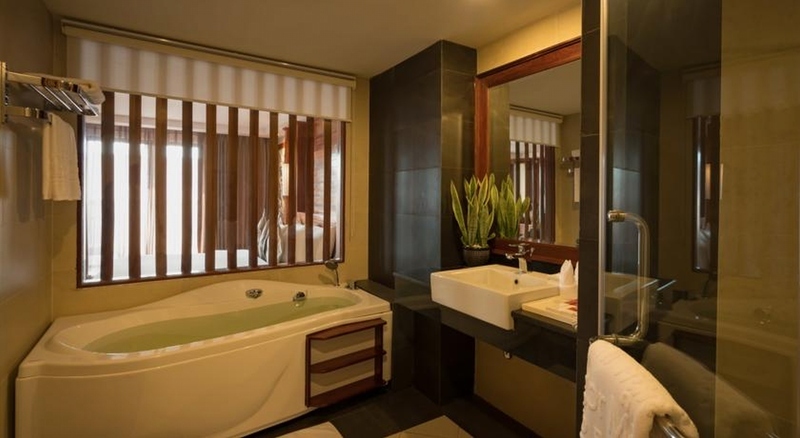 Nice shower and bathtub. Breakfast buffet was great, large variety of food and we enjoyed the selections. The pool area was nice too. We received free foot massages thanks to the hotel. We also utilised their airport transfer (by van). All in all, we had a wonderful stay at Angkor Miracle Reflection Club. There was a little issue at the start that our room was located on fourth floor which is closed to the construction area. I've informed this to duty manager and we were moved to the better room. The staffs were very attentive. They were willing to help us once we've got the issues. The buffet breakfast was excellent as there are many choices and delicious. The room condition was good and well decorated. The swimming pool was great which was good for us to relax after sight-seeing trip. We really enjoyed our stay and will surely recommend our friends to stay here. Excellent service by all staff, very nice swimming pool with reasonable price. There is a problem happened to my deposit but hotel staff handle it very fast, I am really satisfied about that. I will choose this hotel again if I come. Look forward to it soon. We requested Airport pickups but could not get a response via agoda and was ready to be disappointed when our airport pickup wasn't there when we arrived. However, it only costed $6 to get a taxi to the hotel so that was OK.. Everything else apart from the initial glitch was perfect, would stay there again. Warmly welcomed at the hotel. Got two free Khmer scarf from the hotel. Free shuttle to Pub Street can be arranged. Lunch at the hotel was good. Enjoyed coffee body scrub at the hotel and the complimentary foot massage. The wifi is superb. Hotel to airport is near. We were too early to the airport for a morning flight, wished we had breakfast at hotel instead of taking the breakfast box. Great staff, fabulous hotel and excellent facilities (except for the limited and clunky old gym equipment). First time visitors may prefer an inner city location but we were happy enough with getting the 7 pm shuttle into town each night. They picked us up from the airport and dropped us off for free. We were given cool towels and a ginger drink as soon as we got to reception. Staff are everywhere ready to help. The breakfast was good quality with vast options. We had a great time staying there. This hotel was outstanding! We really enjoyed our stay. I read some comments that complained about it being outside the city center. It was a 7 minute tuk-tuk ride from the hotel to Pub Street (cost $3-$4). The hotel offered a free shuttle service to/from the airport as well as to the city center a few times daily. We enjoyed being located just outside the city. It was a bit quieter and a bit slower pace...but the city was certainly close enough to go have dinner and drinks...shopping. For example, when we sat out at the pool (beautiful pool), you could not hear any traffic or hustle-bustle. It was very relaxing. The staff were all amazing. SUPER-friendly! We also booked our private tours of the temples from the hotel and it was very reasonable (in our opinion). 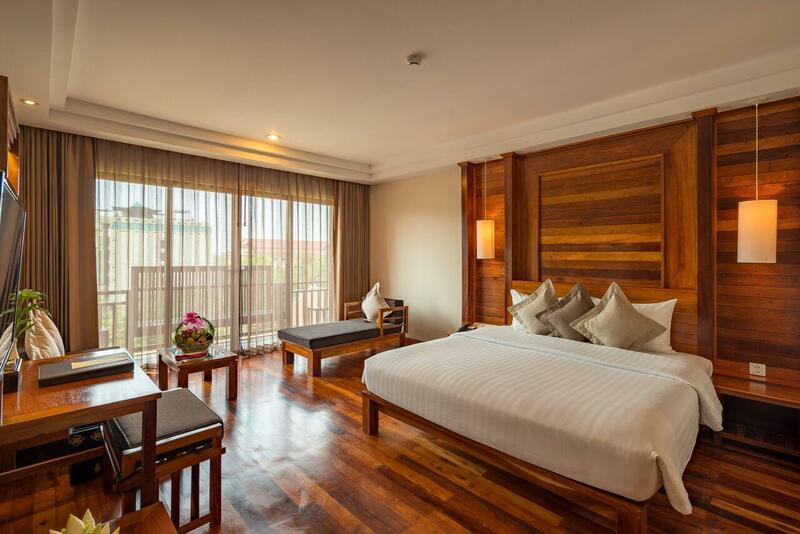 Returning to Cambodia....we will absolutely stay at this hotel again!!! The hotel is located in an ideal location. 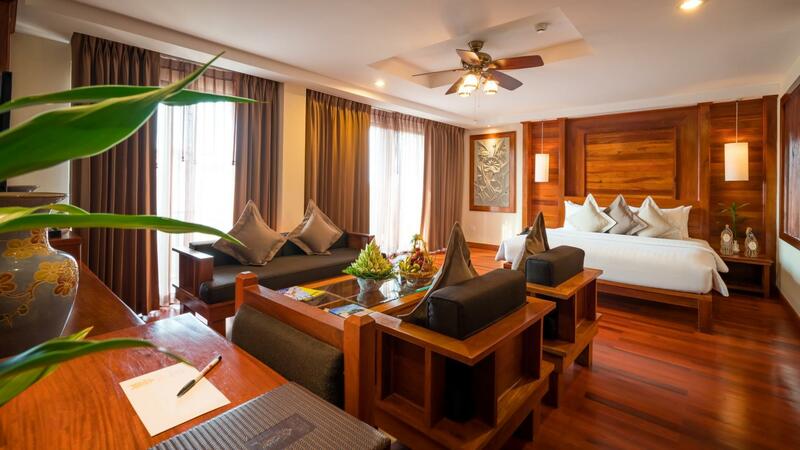 Though a bit remote from the Siem Reap city centre, it gave us a peaceful feel as we ccould stay away from the crowd . Hotel room in the Reflection Club Wing is spacious overlooking the pool. The restaurant serves good choices of Western and Asian food, with the buffet breakfast in particular. The helpful staff gave lots of good suggestions for sightseeing and transportation around the Angkor area. Great spa treatment that's value for money. Just the perfect end after a day walk at Angkor Wat area. Absolutely loved their pool. Spacious and clean, nice way to end the day with a dip by the pool and stargaze. Close to airport. Less than 10 minutes to airport from hotel. Hotel was nice enough to give us 20% discounts to eat at hotel restaurant for dinner. Reception personally showed us to our room. But hotel staff had limited English vocabulary. We were picked up at the airport on time and the transfer to the resort was less than 10 minutes. Since we had a late flight, we really appreciated the fast check-in. The hotel is a little far from the city proper, however, a tuk-tuk ride only costs $4US. Also, there are 3 free shuttle services daily, twice in the morning and once at night. 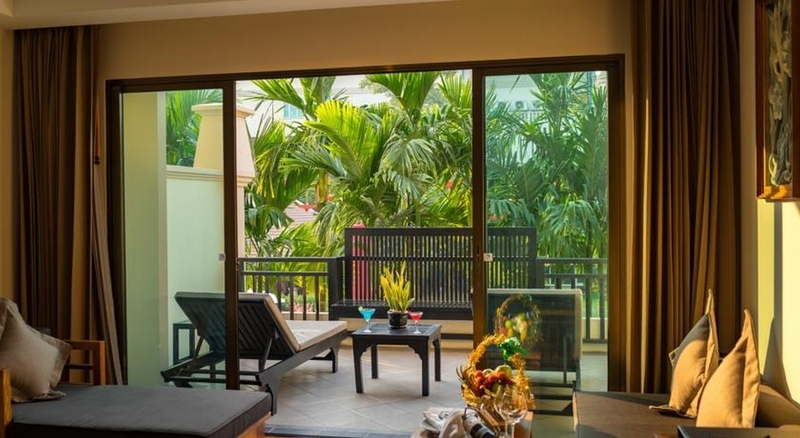 The rooms are large, we had a premier balcony room on the 4th floor which overlooked the swimming pool. We had dinner at the restaurant twice and it was quite good. The pool is beautiful and the staff there were attentive as with the rest of the resort. Highly recommended. The rooms were nice. Big and spacious. Beds were comfy and toilets were clean. Nice pools. Staff were welcoming in providing a birthday cake for my friend. Renovations on going so it's abit noisy in the day. Apart from that everything else was good. The breakfast is silicon and the staff are really kind. I stayed at the hotel during Khmer New Year from 13 to 15 April. In general, it is a good hotel. Staff are friendly and facility is good.